When we realized we’d be without the kid for an entire weekend, we were positively giddy. What will we do? We pondered. We’ll head to the mountains! That’s how it all started. 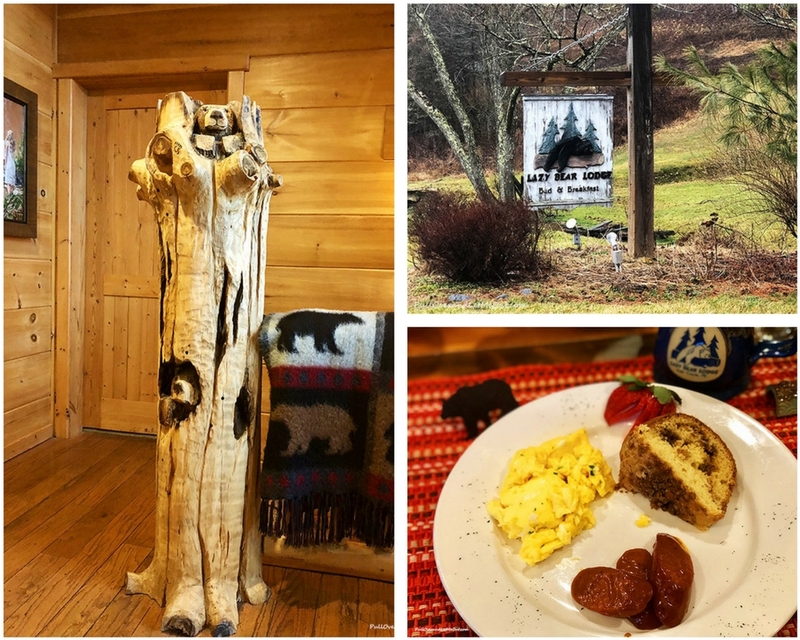 I had no idea when I discovered Lazy Bear Lodge in Valle Crucis, North Carolina just how much we’d enjoy a weekend getaway. It was emphatically therapeutic and has me telling everyone, you need to go. 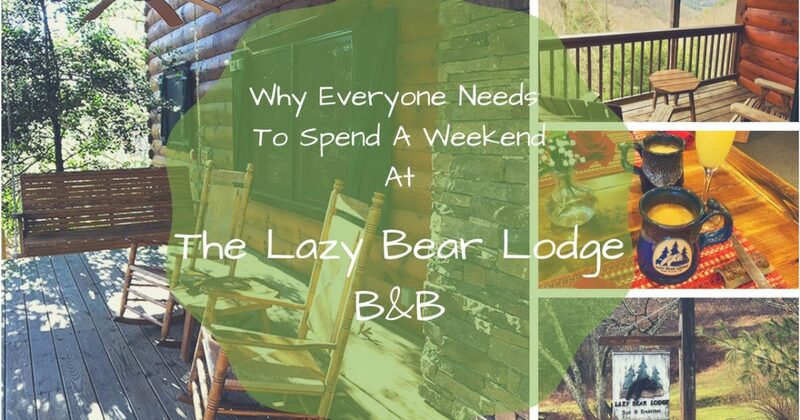 The breathtaking beauty of the Appalachian Mountains in and of itself is enough to make a visit to Lazy Bear Lodge a delightful diversion. However, once we arrived at the mountain retreat we were pleasantly surprised at just how charming and cozy this inn in the woods is. 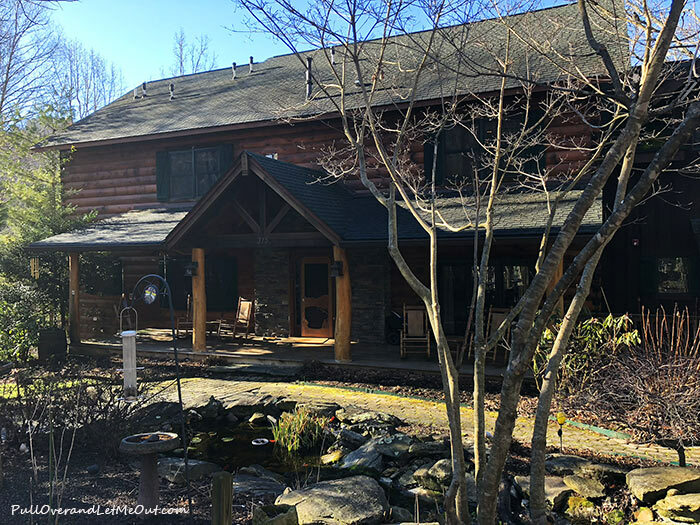 A log cabin nestled in the mountains featuring spacious common areas, beautifully furnished guest rooms, large front, and back porches, and stunning mountain vistas. There’s even a spa where you can completely pamper yourself and unwind. I mustn’t forget the bears! Bear accents abound. The log cabin keeps to its theme with bears adorning all aspects. From the napkin rings to the mantle, the bears rule the roost. The homey appeal of woodland accent pieces, a stone fireplace, wagon wheel coffee table, and plush furniture paired with the charming bears issues a comfy kick-back and relax invitation to guests. Most ads you see on this site are affiliate links. If you click through and make a purchase I’ll get a small commission. So, thanks in advance for helping me keep bringing you the content you enjoy! Whether you’re looking for skiing or snow tubing, fall foliage, spring blooms or a summer escape from the heat, Lazy Bear Lodge is ideal for visiting the mountains year round. Snuggling by the fire is a joy in the winter months and sitting on the deck enjoying nature is blissful in the warmer months. Peace and tranquility imbue every moment at this rustic inn. With such a charming location, it goes without saying romance is possible at the Lazy Bear Lodge. 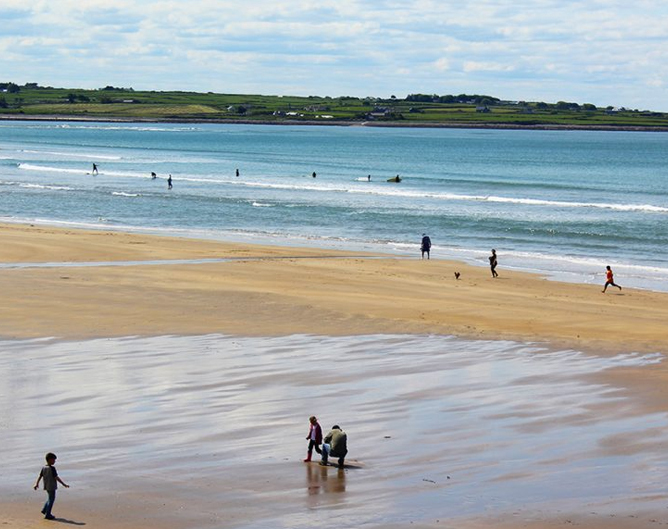 There are five beautifully appointed rooms to select from, each with a private bath and incredible view. Rooms with names like Black Bear, Mountain View, Garden View, and Hummingbird, each lovingly decorated with specially chosen antiques, handmade furniture, gas stoves, and cozy seating areas. We stayed in the room named Lost Creek. The lush queen-sized bed was delightful and watching the sunrise over the mountains from the comfort of our private balcony while sipping coffee was heavenly. 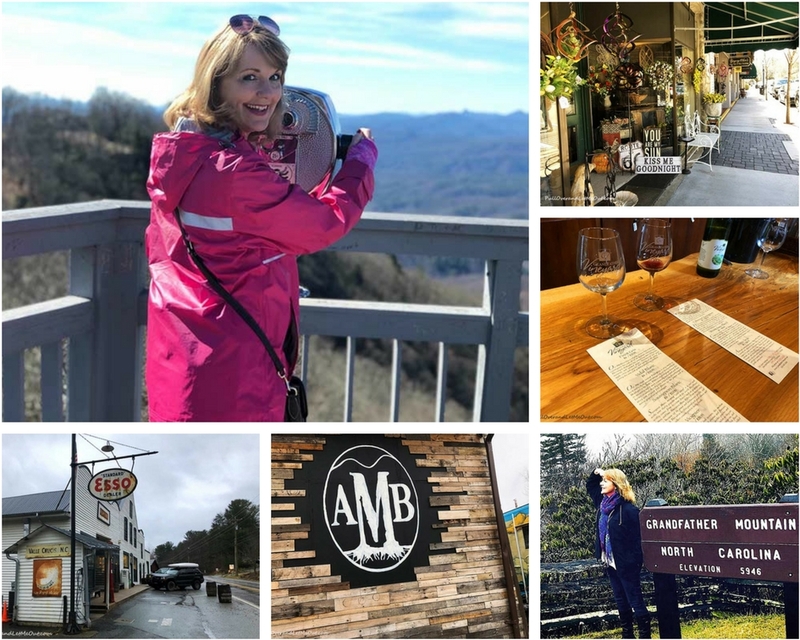 Proximity to Boone, Banner Elk, Blowing Rock, The Blue Ridge Parkway, Grandfather Mountain, Linville, Appalachian State, and Valle Crucis provides guests with a plethora of choices for entertainment and dining. There are craft breweries, restaurants, wineries, antique shops, and adorable boutiques close by. 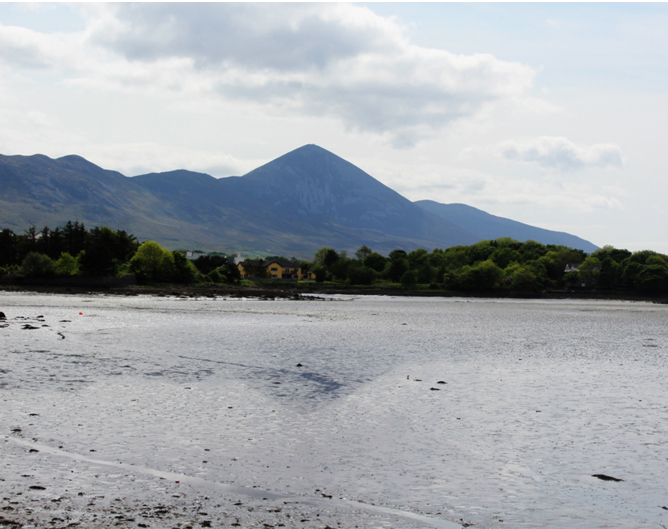 Furthermore, there are activities like hiking, biking, skiing, fishing, and bird watching for outdoor enthusiasts. The list of local activities and attractions is a long one, but you may simply wish to chill at the lodge where nature comes to you. 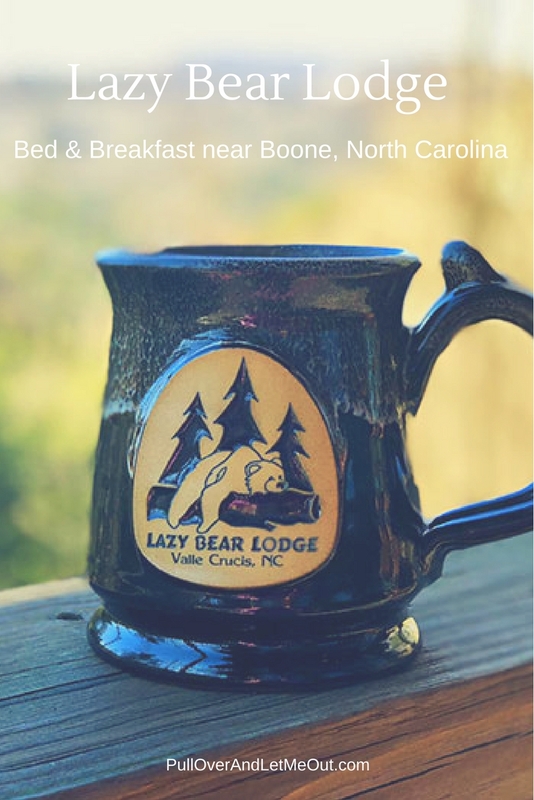 Lazy Bear Lodge is a short distance off Hwy-105 in Valle Crucis near Boone, North Carolina. If possible, arrive before dark so you can get your bearings (get it?). 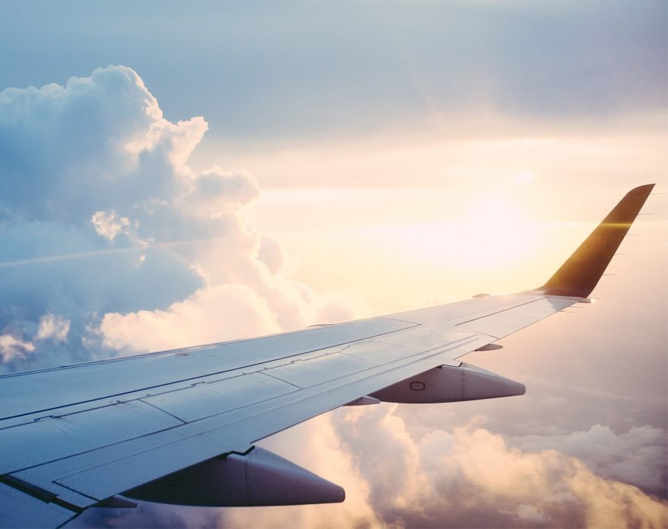 There is so much to do nearby, you’ll want to plan ahead if possible. I recommend making dinner reservations prior to visiting if you know your schedule. 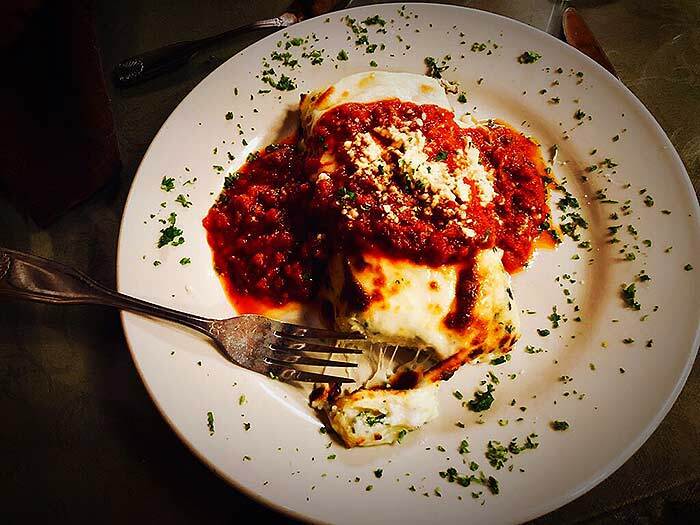 We had an unbelievable Italian dinner at Casa Rustica minutes from Lazy Bear Lodge – best spinach lasagna I’ve ever had! We also savored the authentic Appalachian cuisine at Over Yonder in Valle Crucis which is so popular reservations are pretty much a must. 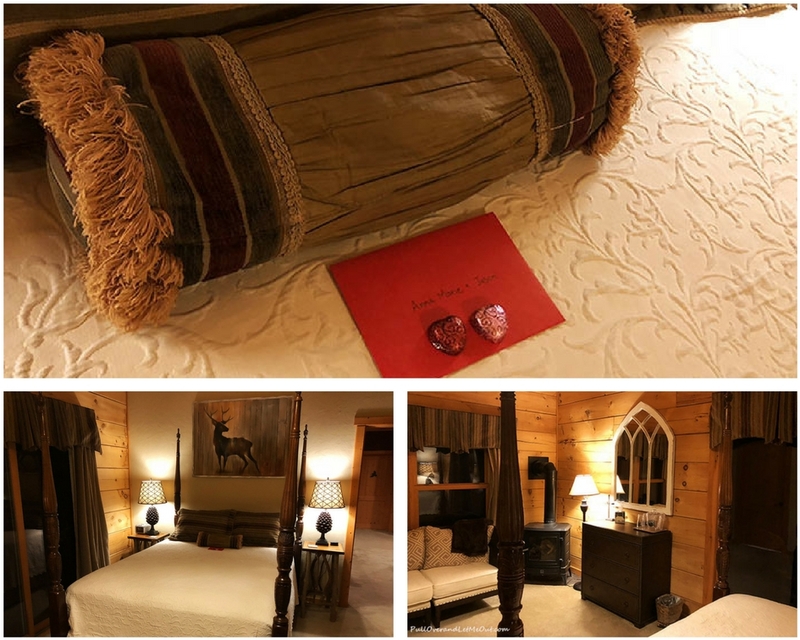 Owners Marsha and John Speer have done a wonderful job making sure a stay at Lazy Bear Lodge is relaxing, enjoyable, and memorable. The comfortable beds, chocolates on the pillows, tasty breakfasts, and overall ambiance of the bed and breakfast create an experience that stands out from ordinary hotels and inns. We enjoyed our stay so much, we purchased two of their handcrafted mugs in hopes of bringing home just a cup full of the relaxation we felt during our stay. Yes. This is a great destination if you’re looking for an out-of-the-ordinary lodging experience and it’s reasonably priced between $159 and $229 a night; surprisingly comparable in price to nearby hotels. 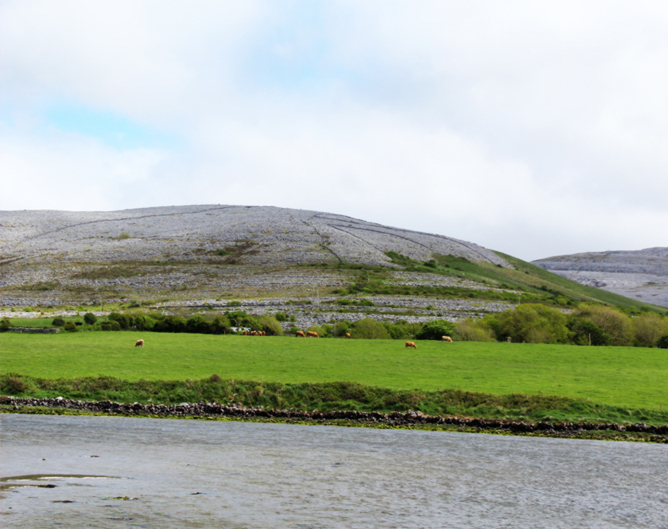 For us, it was worth spending a little more for a top quality B&B stay, hands-down! Lazy Bear Lodge Bed & Breakfast near Boone is an unmistakable Pull Over and Let Me Out! 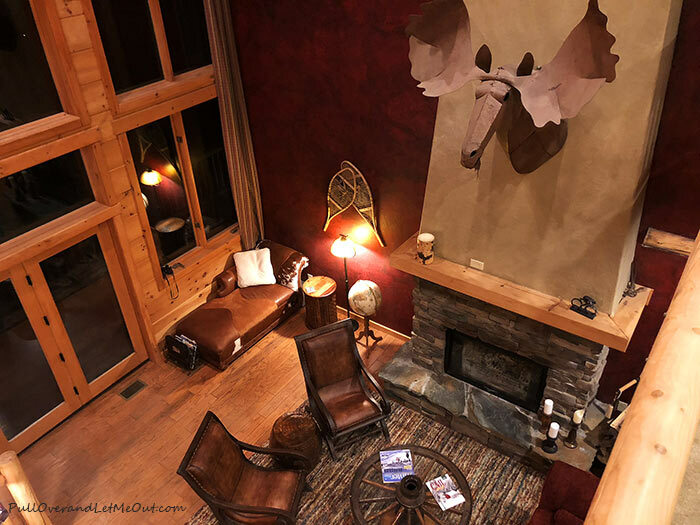 Have you stayed at the Lazy Bear Lodge or do you have a favorite mountain retreat? Let me know in the comments below. IF YOU LIKE THIS POST, PIN IT FOR LATER! PrevPreviousWhat Happened at Appomattox Court House During the Civil War? This looks like a perfect getaway! I know I’d love this. 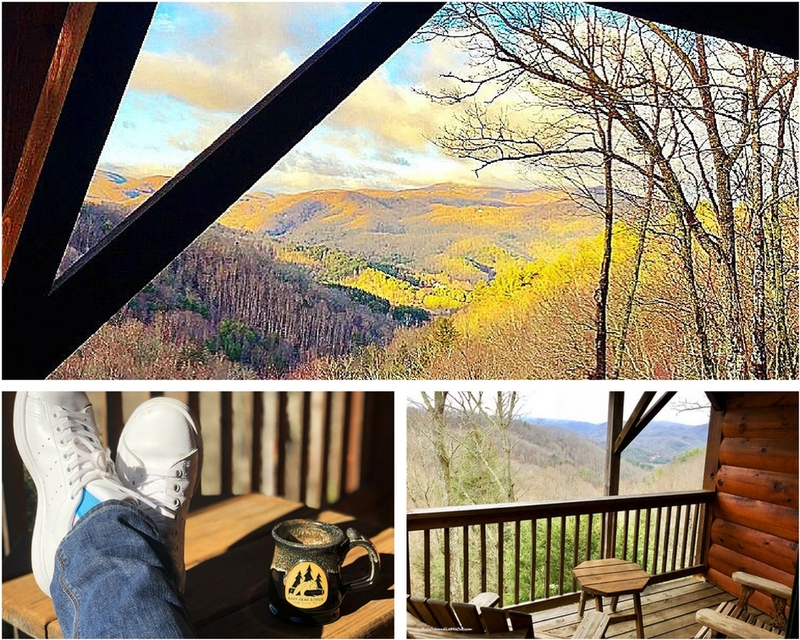 On a side note, let me know (email me) if you have a few posts (30 days or older) that showcase your travel in NC. I’d love to feature some of them on the NC Blogger Network as a part of the SEE NC series.